The best and newest linguistic resources are gathered in this language guide for you to explore. You are invited to use any of these languages to write fan-fiction and create role-playing games. Check out the Gamers page for your invitation to use resources from the Known World for your own games and stories. 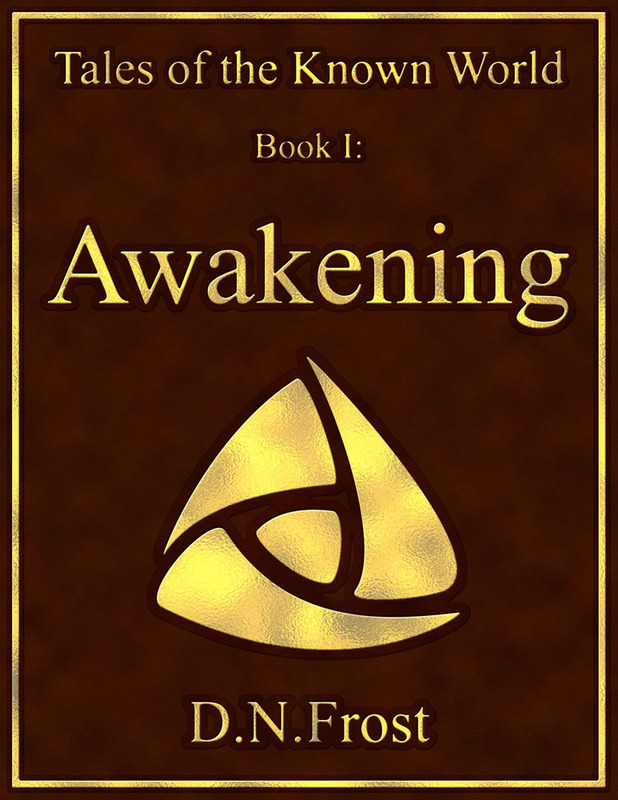 You can download the Language Appendix from Awakening here, or click the thumbnails below to read about each dialect, the way it is written, and the people who speak it. Lilting tongue of the elusive nymphs. This isolated language is fluid and nuanced, with few consonants and a slew of assorted vowels. It varies between villages and family groups. Discover its speakers and their writing here. The common tongue that unites the world. This modern language is spoken throughout most of the Known World. It varies by region and contains numerous loan words. Also known as The Dark Tongue. This sibilant language is spoken by the enemies of Allana. It features strange consonants and many syllables without vowels. Distant tongue of foreign shores. This unknown language comes from beyond the Known World. 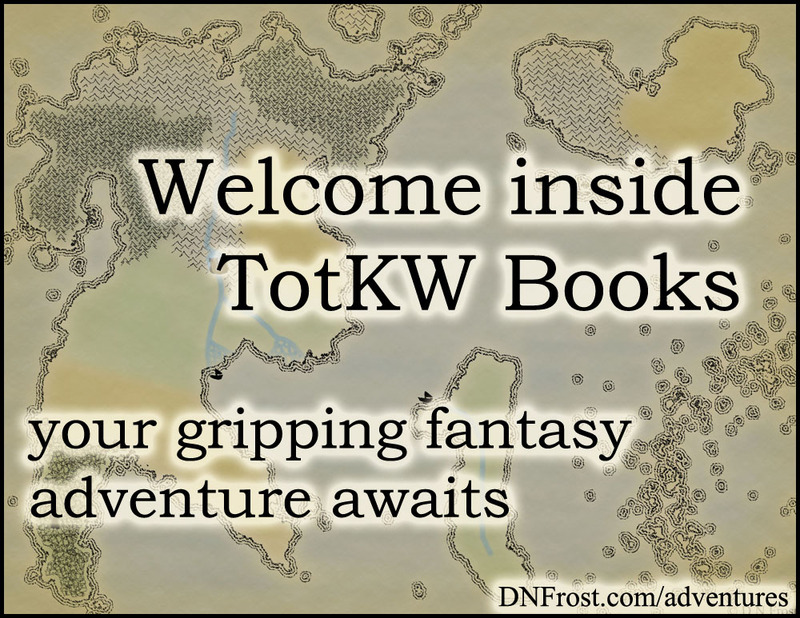 More secrets are to be revealed in my exclusive newsletter, Inside TotKW Books. Come behind the scenes here. Melodic tongue of the free men of Kholl. This lyrical language is related to the tongue of the merfolk and is viciously suppressed by the Colkh'rak regime. Ancestral tongue of the mountain elves. This ancient language is endangered, but it has seen a revival amongst urban youth as a symbol of elf solidarity within the greater empire. Musical tongue of the northern faeries. This rhythmic language is distinguished by its three primary tones. In modern times, it is mostly used for rituals and ceremonies. Sibilant tongue of the enslaved men of Kholl. 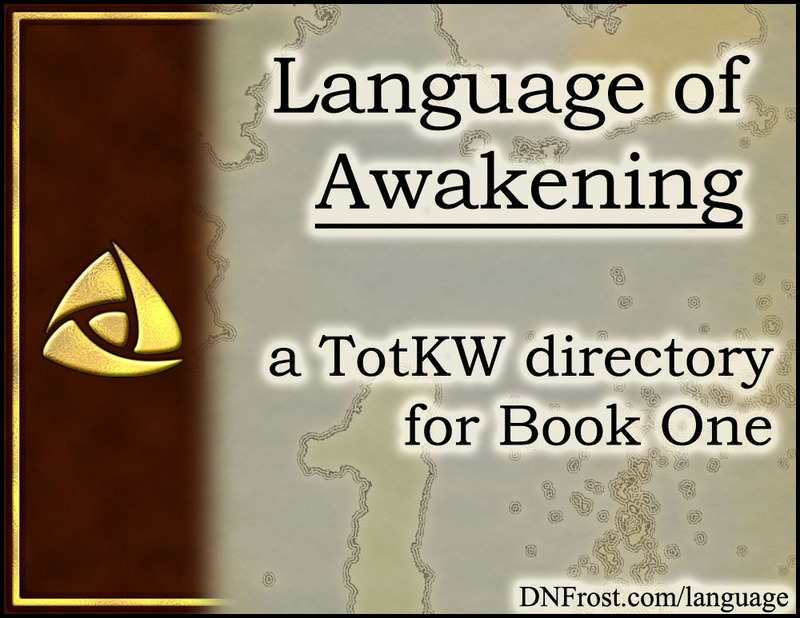 This hissing language is derived from the tongue of the Colkh'rak overlords. It is known for its strange sounds and infrequent vowels. Secret tongue of the prophetic merfolk. This elite language is known as Vyehedaryn to its speakers. Due to extensive written archives for past millennia, it varies little by region. Lost tongue of the fallen tree elves. This extinct language was the first universal tongue of the Known World. It was a dialect of Meri, the tongue of the merfolk. Proud tongue of the desert tribes. This modern language is an isolated dialect of Allanic spoken only by the Sutek people. Ancient Suteki was more akin to Meri, the merfolk tongue. Frightening tongue of the cursed daemons. This sibilant language is the unifying tongue of the Hells. It contains no vowels, and it sounds like a crush of terrible hisses. Forgotten tongue of the island men. This dying language is spoken by a smattering of pirates across the eastern archipelago. It is related to Meri, the merfolk tongue. Heritage tongue of the mountain men. This tuneful language is all but extinct in the Known World, though it is still spoken in the Trophek Reaches of northeastern Allana. This elite language is known as Meri to non-speakers. Due to extensive written archives for past millennia, it varies little by region. That's it for this post! Check out the newest linguistic resources for more.